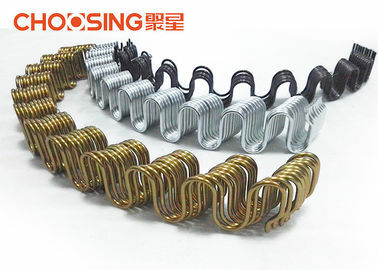 Typically, the Zig Zags springs are used for seating applications. 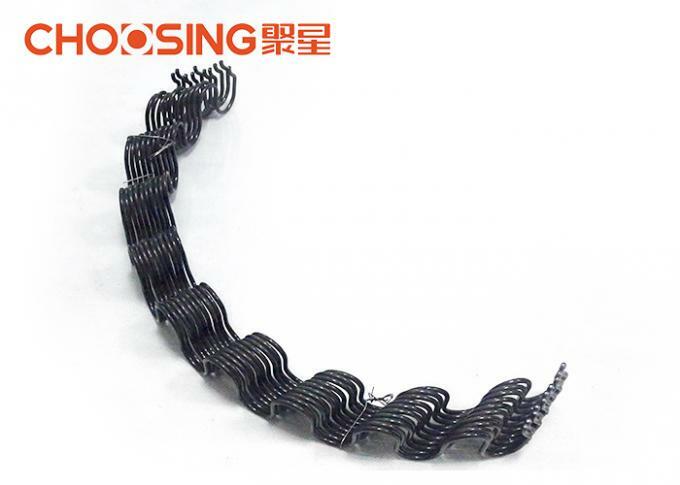 Currently 9g/3.60mm Zig Zag springs are the most commonly used, although the demand for 8.5g/3.80mm and 8g/4.00mm has increased significantly in recent years. 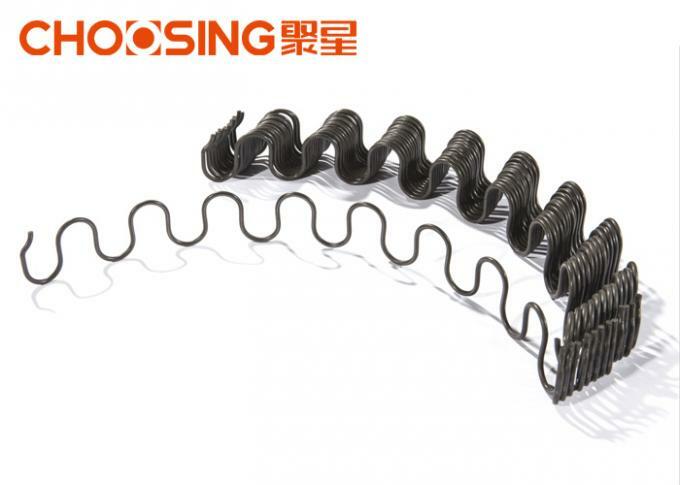 Our Zig Zag springs can be manufactured in a range of different gauges, lengths and arcs. For more information please don't hesitate to contact us. 1. it's made of high carbon stell wire,has good elasticity and keep shape for more than 8 years. 2. Can be made with different wire diameter to fit for the different usage demands. 3. Antirust treatment,surface of the spring was processed with the enviromental paint. 4. High demanded in furniture industry. Normally,our standard packing is 300pcs or 500pcs per bag,packed with green knitted bag.We also can pack the goods will plywood carton,but there will be extra packing fee. 1. By sea - goods will be shipped from Guangzhou / Shenzhen port,ship in 5 - 15 days after receiving the deposit,just according to the order quantities. 1. If total amount is lower than USD1000,we will charge total amount after the order confirmed. 3. 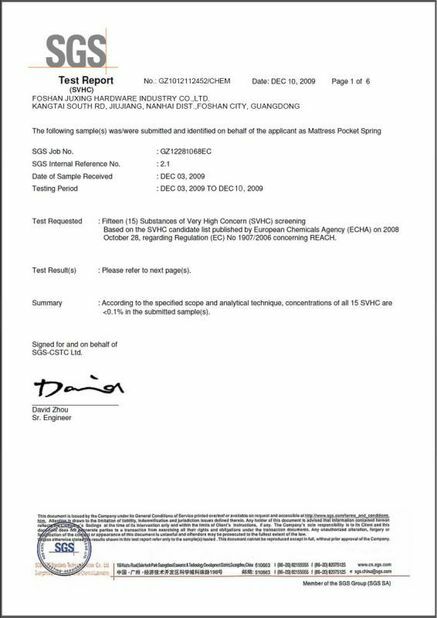 FOB & CIF term - 30% deposit paid after the order confirmed,70% balance paid against the copy of documents. 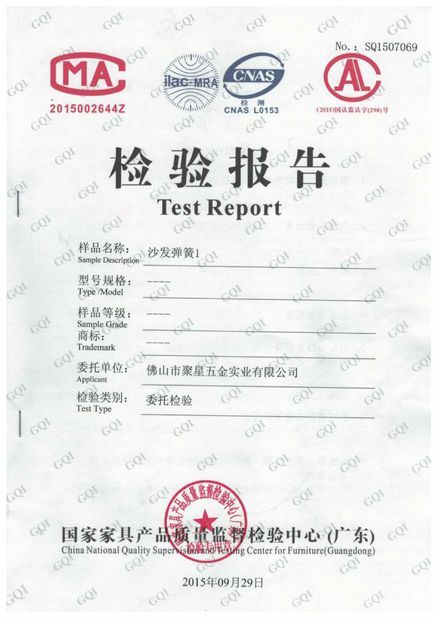 After confirm the quotation,we can offer the free samples for confirmation according to your specification if needed,the samples will be delivered by express,DHL/UPS/FEDEX/TNT/EMS.Generally speaking,it will takes around 3-5 days to send out the samples.